Are you ready for golf season? How does stress effect my spine? What does Sciatica mean to me? Our professional and licensed Massage Therapists are available Monday-Saturday. Both Deep Tissue and Relaxation massages are available. Massages are typically scheduled for 60 minutes. To make an appointment please call 810-989-7429. I am a 2010 graduate of Lakewood School of Therapeutic Massage. I have been a massage therapist with Shaw Chiropractic since January of 2012. I love being able to provide each patient with an individualized massage. Every massage is different. Each session varies from patient to patient and also from massage to massage with the same patient. Often times the patient will express their concerns and then say, “Whatever you think.” I value the trust the patient has in me the most. Whether it’s a relaxing therapeutic massage or a deep tissue, trigger-point therapy I try to ensure the patient feels better leaving than when they arrived. 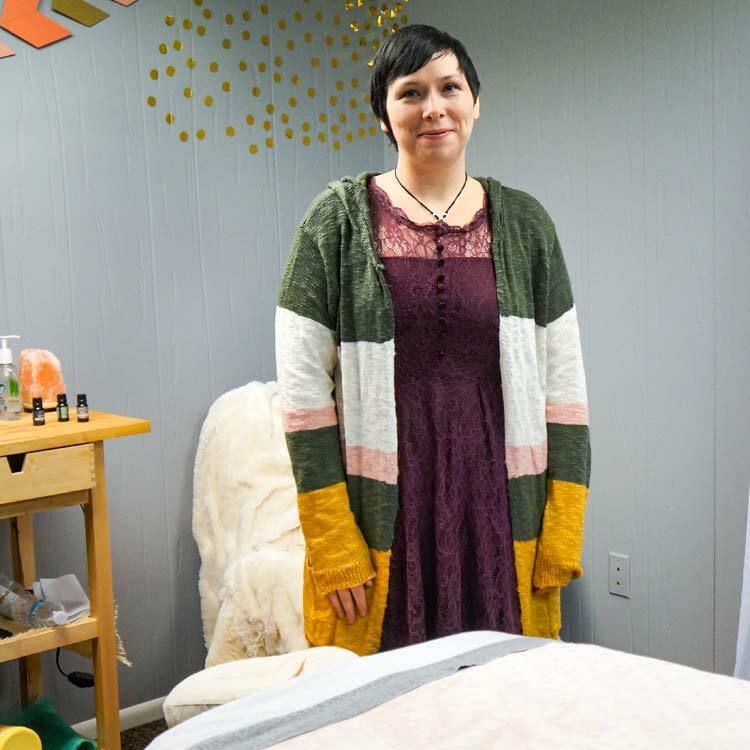 I graduated from Lakewood School of Therapeutic Massage in December of 2015 and I am licensed in the state of Michigan. I’ve been working at at Shaw Chiropractic for a year and a half now and I love my job! While at Lakewood I studied aromatherapy, hot stone massage, sports massage, carpal tunnel, reflexology and myofascial release. I graduated from Lakewood School of Massage therapy in 2004. Shaw Chiropractic has been my home for the last 5 years and am thrilled to be working with the Shaw team! I specialize in Swedish, therapeutic, trigger point and acupressure massages. I’m a 2016 graduate of Lakewood School of Therapeutic Massage am licensed in the state of Michigan. I started working at Shaw Chiropractic in October 2018. My favorite treatments are aromatherapy, reflexology, and hot stone massage. I also have certification in Thoracic Outlet Syndrome. I like to create individualized treatment plans for my clients, and like to incorporate reflexology into each massage.